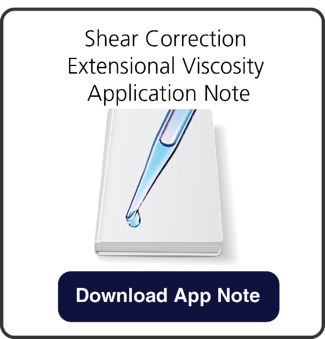 Learn more about the shear and extensional viscosity in xanthan gum and XPAM solutions through our Application note. Predicting process conditions and understanding material behavior can be better accomplished through rheological characterization of the material in shear and extensional flow conditions. 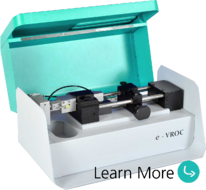 Using RheoSense's extensional viscometer, e-VROC®, researchers will be able to characterize and categorize elasticity of viscoelastic fluids. To further understand the significance of extensional viscosity, our team of experts conducted a study where apparent extensional and shear viscosities were combined for two non-Newtonian fluids (0.5% water solution in Xanthan gum and 0.5% PVDF in MNP) and one Newtonian mineral standard N35 oil (Lot #14301 — Cannon Instruments). To view more on how the study was conducted and the results, please download our application note!